Boy let me tell you , yesterday was a day that just sucked. Had a eye appointment and boy was it a exam from hell. I got my eyes dialated and it just couldn't get my eyes to come back. With burning eyes and a headache I tried to read but alas . It didn't happen LOL. But I did get the book read . Besides, dealing with the other kind, mad inventors and an unrelenting matchmaking aunt, Bayla is equally determined to resist her steamy attraction to the striking fallen angel. First off this is the first steampunk book I have read. I didn't know that at the beginning so I was a bit confused. But as I started reading it I really got into the book. Its a mixture of Victorian, steampunk and goth . All rolled up in on sweet book. 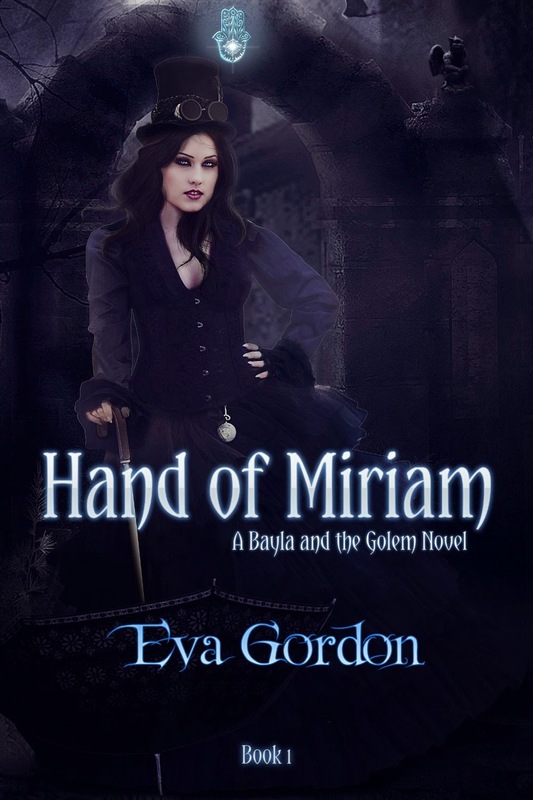 Bayla Gideon is widowed on an dig and is branded by a supernatural force with the knowing eye. She awakens the Golem when she is threatened . The addition of the jewish lore in the book was another aspect that had my attention. It flowed so seamlessly and the characters were so driven and well written . Right down to their flaws. They both were flawed but it seemed to add to their attraction. So if you want to try a good steampunk book check out this book cause you won't be disappointed .